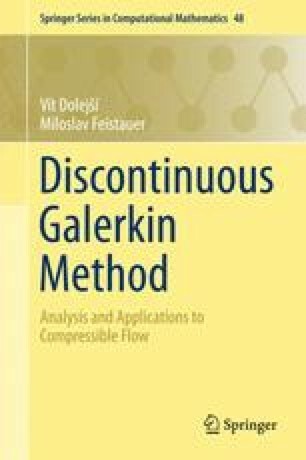 This chapter concerns in basic aspects of the discontinuous Galerkin method (DGM), which will be treated in an example of a simple problem for the Poisson equation with mixed Dirichlet–Neumann boundary conditions. We introduce the discretization of this problem with the aid of several variants of the DGM. Further, we prove the existence of the approximate solution and derive error estimates. Finally, several numerical examples are presented.